This dude ranch is not for the wee ones; the focus is riding and cattle work. 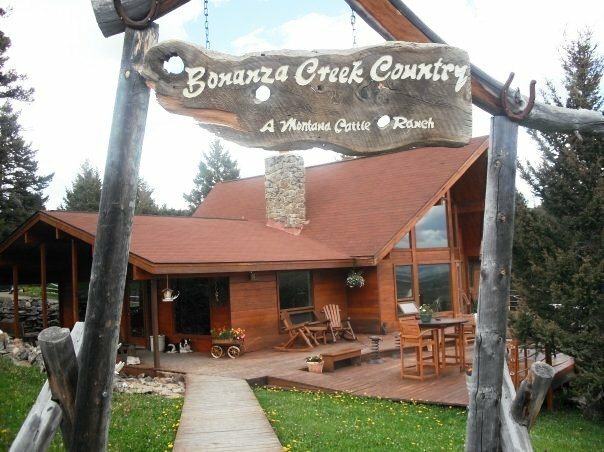 Bonanza Creek has maximum number of a dozen guests, but usually averages around eight people making this one of the smallest guest dude ranches in the nation. 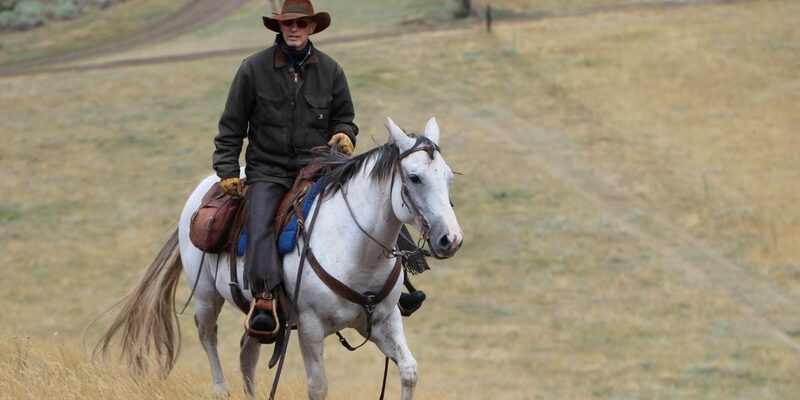 There are 40 guest horses on the ranch that welcome families into their lifestyle and incredible landscape, fore there is no better life than wide open Montana and the constantly changing seasons. Guests are matched with their horses for the half-week to week-long stay and often times families want to photograph their horses after a meal in the 3,500-plus acres the horses graze. The horses make this vacation, and that’s why families choose this ranch, their herd is well suited and excited for the terrain. 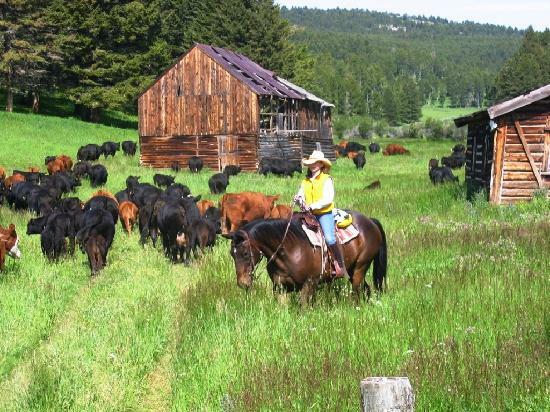 This is massive Montana, and there is endless riding, scenery, wildlife, flora and fauna to discover with family on horseback. 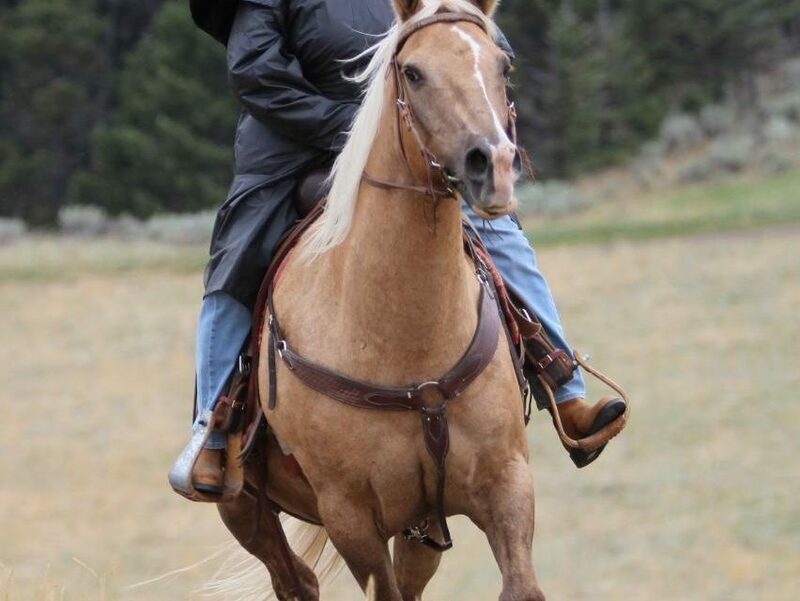 Each stay includes lodging, three meals a day, horseback riding, herding cattle, team penning, hiking, private lake fishing, wildlife watching, breakfast ride and cookout, campfires, all day rides, and wagon ride with a team of horses. There are family members who love the ranch, but not the ride. 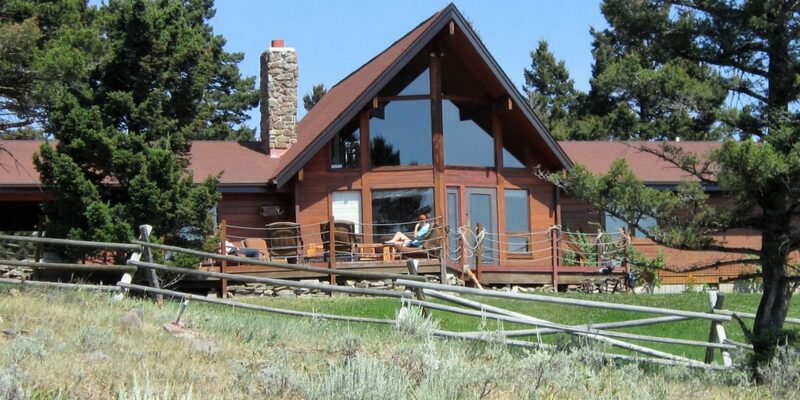 Activity also includes fishing, hiking, massage, hot tubs, a ghost town and more than anything, a quiet morning on the ranch. Nearby are hot springs, museum, rodeo and much more in summer season. Families can choose from one of the four log guest cabins that are all selectively located to ensure privacy amongst the trees, yet walkability to the stable. Standard in each cottage is a refrigerator, coffee pot, with stocked coffee and tea. We had the time of our life . The views ,food,housing and overall experience was all that we had hoped and more. The horses were well taken care of and they did a nice job of matching horse and rider. June and David were very nice and always concerned about their guests special requests were met.